A crisp wind blows, leaves stir and, if you live at Meadowood, you can simply sit back, sip your coffee or tea and enjoy the fall weather. That’s because you never have to worry about seasonal maintenance here! Without having to do yard work, annual home maintenance or winterization, you’ll have more time to spend as you choose, enjoying the beautiful Meadowood campus with your friends and family. At our community, it can be as simple as enjoying a morning on your own patio, balcony or porch, taking a trek into the charming hamlet of Worcester, or even visiting Philadelphia. Wrangling leaves. Cleaning gutters. Clearing downspouts. You won’t have to deal with any of those frustrating fall home maintenance tasks, as Meadowood staff will handle all that work (and more). This also means fall home maintenance tasks that happen indoors are all covered, such as replacing furnace filters, re-caulking windows, removing dust from ducts, insulating the attic, changing window screens and more. The Meadowood staff performs seasonal repairs and inspections to ensure all residents are comfortable and their homes stay beautiful throughout the year. 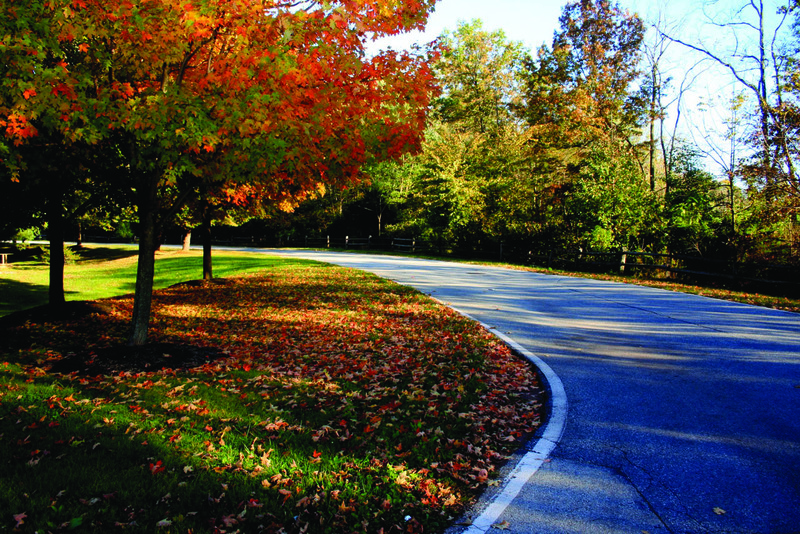 Moreover, our community is located in the Mid-Atlantic region, so our residents get to enjoy all four seasons. Our fully staffed team of landscapers and groundskeepers keeps our 131-acre campus looking stellar and always safe, no matter the weather. As the fall season transitions to the colder months at our community, it doesn’t mean that the brisk temps do anything to change the vibrancy of our senior living lifestyle. This is aided by the enclosed or covered walkways throughout the community, comfortably and conveniently linking you to all Meadowood has to offer, all year long. We are committed to continually enabling multifaceted wellness, and we provide bountiful programs for pursuits in fitness, groups, arts, outings, entertainment, education, volunteering, spirituality and more. You will have plenty to do, even when the leaves are gone, and you will also always have the security and peace of mind provided by Meadowood’s trusted care, all on-site. It’s just another benefit of living at a Continuing Care Retirement Community (or CCRC). For an insider’s look at senior living, we invite you to download our “Confessions of a Senior Housing Industry Insider” free by clicking here! We have answers – always! No matter the season, we can provide all the answers you need about Meadowood and how it can be the hub of your ideal active senior lifestyle. We invite you to schedule a personalized appointment to meet with us, so you can learn about everything our community has to offer for you today and tomorrow. Click here to get in touch, or simply call us at 610-584-1000 today!